The pharmaceutical industry and FDA seem to want us to buy medicine at high prices. They say it’s dangerous to import cheaper medicine, even though it’s been shown to be safe when done through pharmacies approved by PharmacyChecker.com. In fact, recent events show that their supported high drug prices can cause major drug safety problems right here at home. Forty-eight people in a nationwide Medicaid fraud syndicate were recently arrested for buying prescription drugs from Medicaid recipients and re-selling them. The medications included Zyprexa for Schizophrenia, Atripla and Trivizir for HIV/AIDS, and also asthma medications. 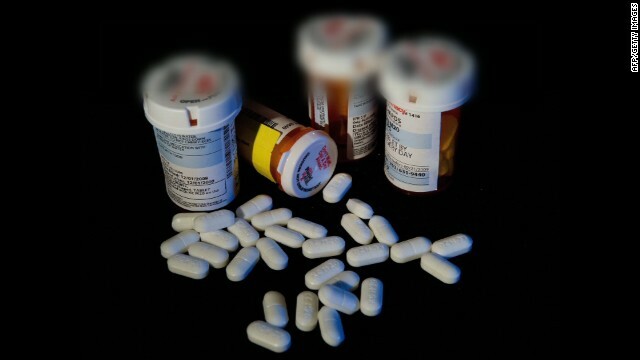 As reported in the Wall Street Journal and CNN, the drugs made their way through a black market to a supply chain of “collectors” and “aggregators”, eventually working their way into wholesale companies and pharmacies in New York, New Jersey, Pennsylvania, Massachusetts, Utah, Nevada, Louisiana, and Alabama. The medications were also sold in bodegas on the street. Medicaid fraud is not new but the scope of this will cost taxpayers $500,000,000. The scariest thing about this fraud is that the drugs made it into licensed pharmacies throughout the United States. These drugs could have been adulterated, mishandled, or improperly stored – they may no longer be safe. As a result, American taxpayers bear the burden of higher healthcare costs. Medicaid patients sold their drugs because it was highly profitable, despite consequences to their own health. Pharmacies bought from black market wholesalers because their prices were cheaper. End-users bought medicine they needed from bodegas and street corners because it was cheaper than a trip to the pharmacy. In countries with much lower drug prices there is less incentive for this type of fraud. We’ve made price comparisons among the types of prescription drugs fraudulently sold in the U.S. by looking at U.S. and international pharmacy prices. We paid taxes for Medicaid beneficiaries to not take their medicine as prescribed, and to instead sell their medicine. We paid the costs of hospitalization and emergency room visits for these people who went without needed medication and maybe even the end-users, who took potentially adulterated medicine. It’s also likely that Medicaid was double-billed for the same exact pills: the first time when a Medicaid recipient received it; the second time when it was dispensed again from another pharmacy that received it from black market channels. Despite problems with our distribution system, the U.S. has one of the world’s safest pharmaceutical supplies. However, the U.S. is not alone in having safe medication – not even close. The pharmaceutical industry and their supported groups fool consumers, elected officials and the media into believing that online pharmacies outside the United States are all dangerous, which, to be polite, is factually inaccurate. Let’s bring some balance to the issue and look at the drug supply problems in our own backyard. The problems here are serious, too, and fraud like this could even be prevented if there were easier access to safe and affordable medication.